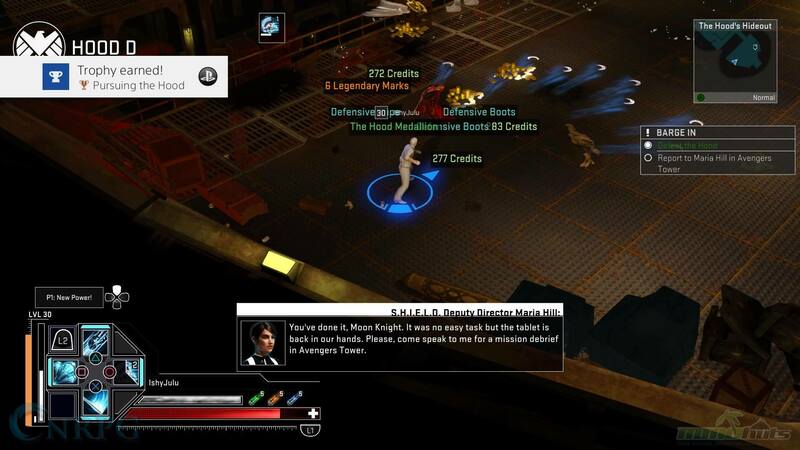 MMO MMORPG News·Editorial·Marvel Heroes Omega Console Review: With Great Power Comes… oh you know. 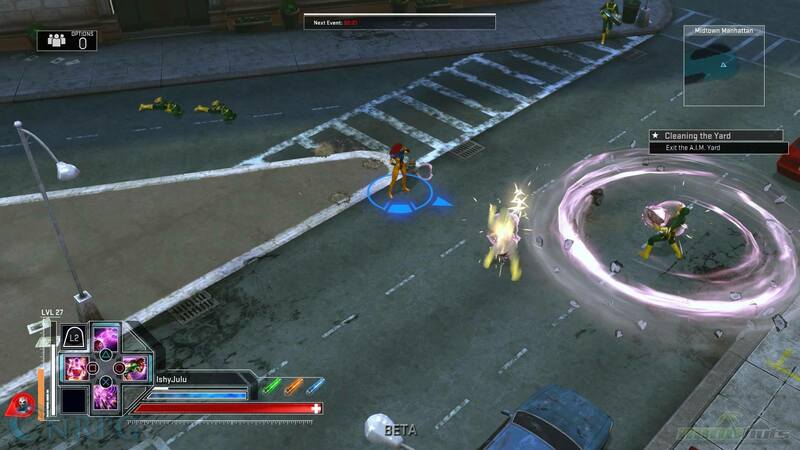 Marvel Heroes Omega Console Review: With Great Power Comes… oh you know. 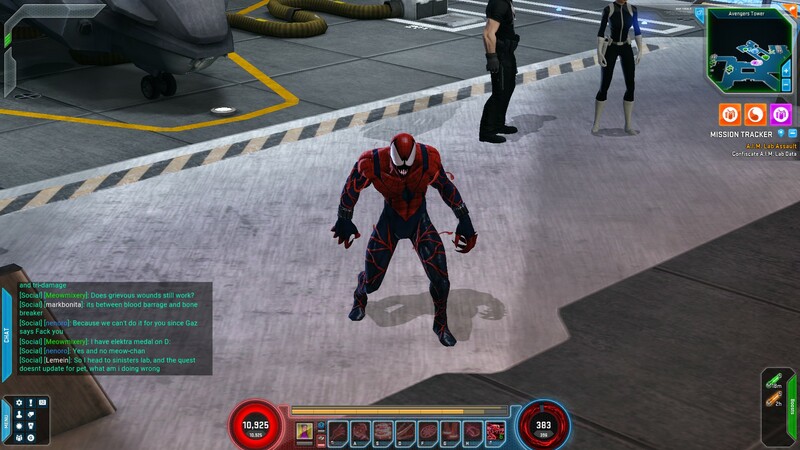 So I’ve been a fan of Marvel Heroes since the beta. I admittedly fell out of it and came back when the 2016 rebranding hit. That’s partial because I reviewed it, but I honestly love the idea of an isometric RPG using Marvel Heroes and Villains. It’s such a great idea, but I just… forgot, I suppose. Since then I’ve stuck around and played pretty much everyone by now. Time passed, and then the unthinkable happened. The one thing that I really felt the game needed happened: it came to console! Both PS4 and Xbox One have access to this fantastic game that PC users have been playing for years now. I love the console version, but there are some pretty major differences between this and the PC version that I’ll get into soon enough. Honestly? I love the Console version, perhaps even more than the PC version. I can play it longer without fatigue or pain, thanks to using a controller, and the game was built for utilizing a controller. 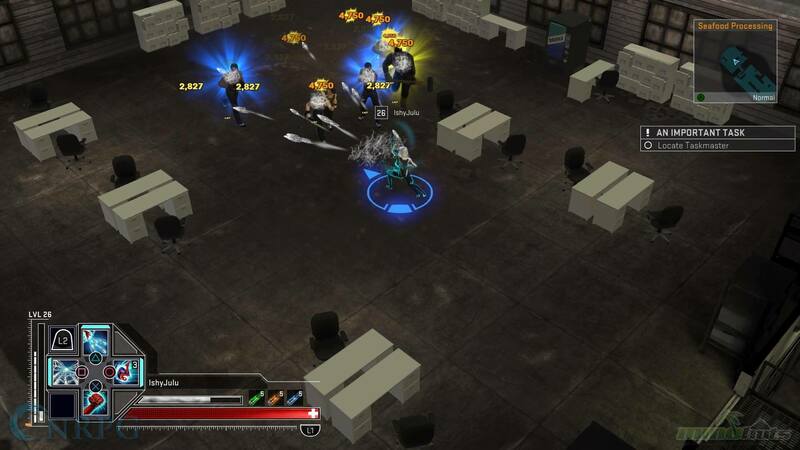 I recently chatted with one of their game designers, Brian Waggoner, and one of the things the chat asked me was “If it hurts to play at your desk, why not play Marvel Heroes with a controller on Steam?” and honestly, that’s a good question. But I have a very important answer, which ties into why I like it on console more. Sure, PC finally has controller support. But that’s all it is: Controller Support. It’s not made for a controller. 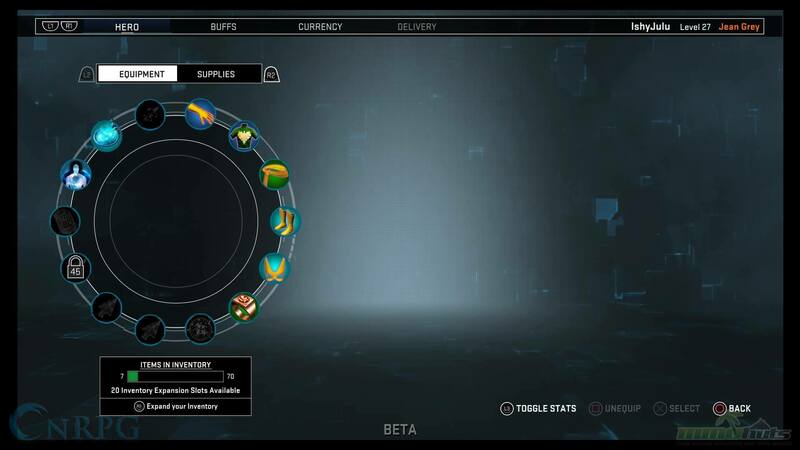 The UI and setup for PS4? It was made for a controller. It doesn’t have to change, adjust, or anything. It’s made for console, everything makes sense, and I don’t have to jump through any hoops to make it happen! 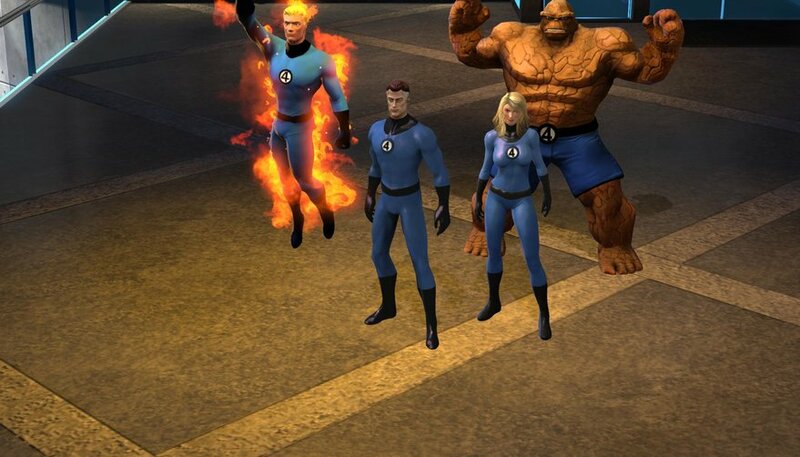 I’ve tried using a controller on Steam before for Marvel Heroes, and it didn’t really work. PS4 control support is spotty at best, and I connect it to my PC via Bluetooth adapter. There are some other issues at play here, but it’s not really all that important. The end of it is: It doesn’t work perfectly the way I’d like it to. So, I don’t bother with it. 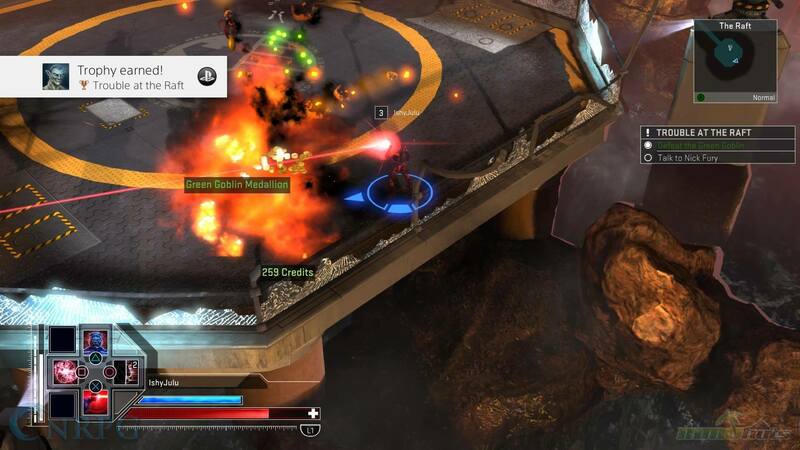 Enter the PS4 version, which has a UI that works, is comfortable, and frankly fun. It’s a little weird to hit L2 to use the other four powers, but you get used to it and put all the really important character powers on the first four buttons anyway. The only thing that’s slowed me down on playing on PS4 versus PC is the ease of typing with people on PC, and my PC account has Cosmic Prestige Cyclops. For those of you who are new, once you hit level 60, you can Prestige, which does nothing other than give you a pretty easy-to-get skin [but you can blend them on PC to make new random skins. Positives! ], and a new color for your name on that character. That’s it. And I did it a bunch. It’s a dumb thing to be proud of, but I did it! But the main story is the same, the zones are the same, and the characters are the same. That’s about it though. There is a pile of changes made to the game, some of them might be adjusted, some might not! One of the biggest ones [to me] comes back to Cyclops. 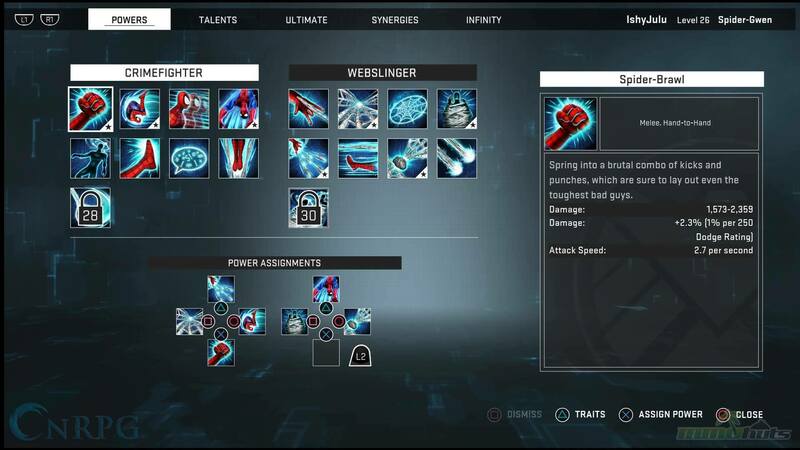 The Synergy system is a system that lets you equip passive powers from leveling other characters. At 25 and 50, a power is unlocked that you can equip on someone else. Cyclops on PC had a Synergy Trait at 50 that gives a Passive EXP bonus. Why is that a big deal? He’s the only character that had it. This basically means if you want to level as fast as possible, at some point, you will want to get Cyclops leveled and that can turn people off. In the console version, he no longer has the EXP Buff. This disappointed me, but on the other hand, Cyclops has a useful passive that you can use after you level cap a character! But there’s also a really cool change to console’s version: Couch Co-Op! 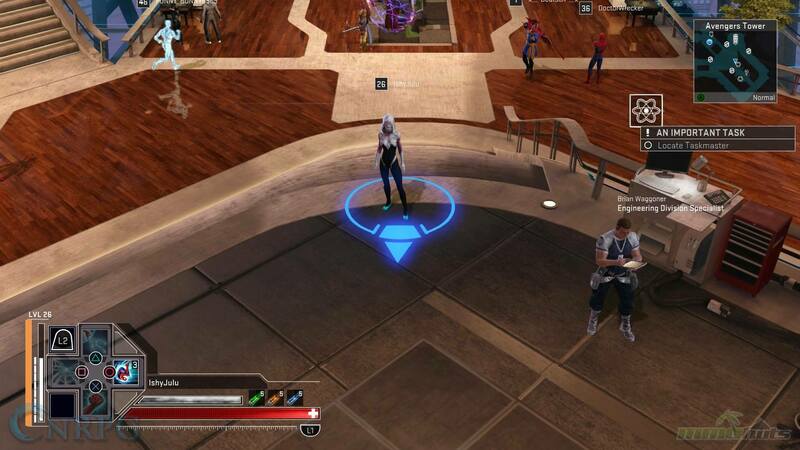 You can sit on the couch with a friend, and play on the same PS4, which makes it feel, more than ever, like Marvel Ultimate Alliance. And Marvel Ultimate Alliance is probably the best Marvel game ever made. However… Team-Ups are not in the game yet. They might not even come! There’s no real answer out there on that. In order to add something to the console version, they have to make sure that it fits, makes sense, and is not cumbersome. So, there are some things that aren’t in the game “yet”. Some examples are Uniques [I believe these are not going in at all], Auto Grouping, and Login Rewards. Another thing I have noticed are missing are the Villains! Ultron, Dr. Doom, Magneto, Venom, and Green Goblin all aren’t playable at this moment. I’m sure they’ll be added in the near future, which would be great. Ultron and Doom are two of my favorite characters to play in the game. 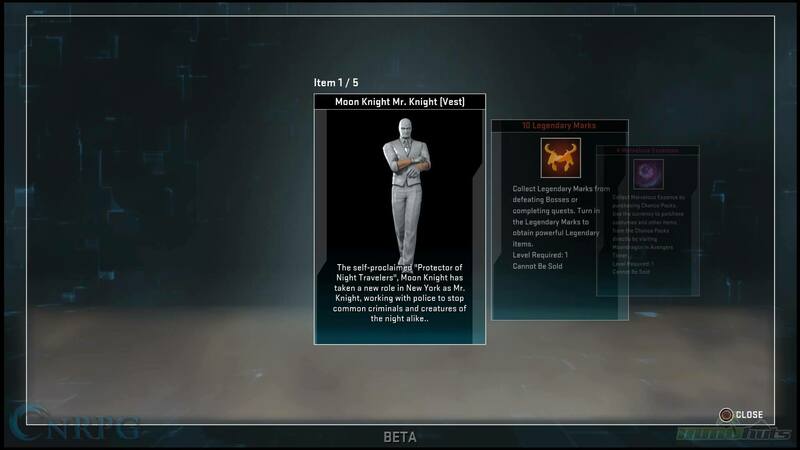 But the Infinity System and Talent System are also here and untouched as far as I’m aware of. But the changes to the Talent System and Abilities in the 2016 updates were wonderful. I hated having to spend skill points and juggle all of that nonsense. One of these changes is one that I honestly love a lot. They introduced “Loot Chests” which you can spend G [real money currency on]. These are chests that contain a variety of rewards, from Eternity Splinters, Crafting Items, Skins, Marvelous Essence [a currency you can buy skins with] and more. They have released a specific box for Spiderman: Homecoming with, of course, Spiderman themed items, and there are also “Marvelous Loot Chests” which have a more wide variety of items in them. Not to mention you also gain free chests at 5, 12, 30 with any Hero. As well as another one for level 60! You can no longer purchase skins directly with G though, but the Marvelous Essence costs are pretty cheap. It’s not too hard to get the skin you want without spending tons of money. Not all of these differences are bad though. Sure, the itemization is completely changed. But is that really so bad? I don’t think so. It’s new, it’s different, and if it works well, maybe we’ll see it on PC! That’d be pretty nice I think. There are new keywords, new procs [abilities that activate when you use a power/attack] and much more. The items feel like they matter more. Just leveling from 1-30 has made me feel like the equipment matters a little more. There are also new Crafting items and a new Crafting System. I haven’t explored it too much yet because it’s taken a lot longer to gather the crafting items. However, I do like that it has changed because I frankly hated the PC crafting system. It’s kind of ridiculous. It’s not as important, but I do like that the Devs are the crafting NPCs now. Now, I do want to address something. Some [many] PC players are worried that the PC version of the game is going to become stagnant in favor of the console version. Let’s be honest, the console version is going to make money, and at the end of the day, they have to make money to keep going. But after my interview with Brian, I doubt highly they’re going to forget about the PC version. Those are their roots after all. But sure, the PS4/XB1 version has some pretty big differences. The inventory system is infinitely better, no more Uniques [at least for now? ], a new itemization system, and Loot Chests. But it’s also missing some of the key things that people enjoy on PC. Team-Ups, a viable chat system, Supergroups, and both of the Raids aren’t in yet [that I’m aware of]. I think having new/special things on console is a good idea to lure people in who are new and to get people who already play to try this newer version of the game. Hell, even the Tutorial is new [and better! Way better!] and when starting a character at level 1, you don’t seem to have to do the Raft Mission every single time. That right there is worth the price of admission. I hate wasting that ten minutes every time I try a new character and go through the story. These design changes are mostly to make it more friendly to console players, and not “to make the console version superior and ignore the PC version”. Come on, that’s just cynical. Oh it’s so fun on console. It just feels right. I love the console version of the game; I can see why some PC players are a little upset, I can. But if PC players could transfer all their data to the console version, there are any number of issues. Items that wouldn’t work the way they used to/wouldn’t work at all, and new players would be far, far behind the new people who are playing on console. And getting new people to play and stay is important. I know a lot of folks who simply couldn’t play Marvel Heroes because they don’t have a PC, or if they do, it’s not a “good” one. But let new players enjoy the game and have fun. So there are a few different things, but it’s not the end of the world. 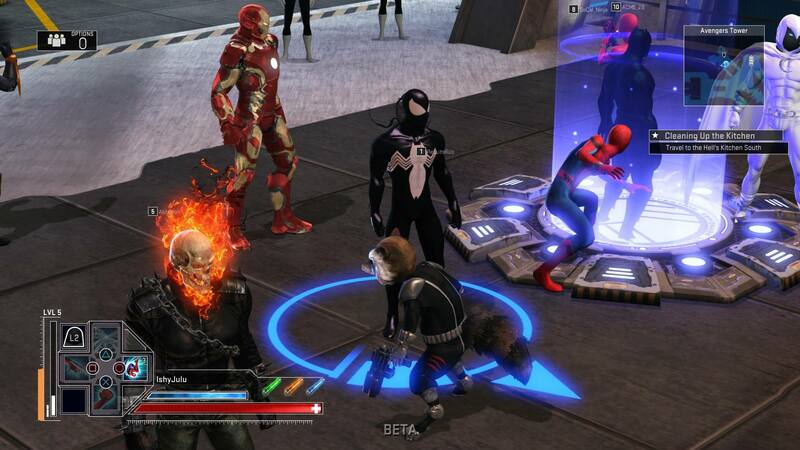 At the end of the day, this is what it is: A fantastic couch co-op MMO that you and a friend can play as some of your favorite Marvel Heroes. The mechanics/UI are great on console and fit the way they should. Controls are tight, the game is pretty, and it’s still the exact same game. It’s just designed how they would for console. One of the things I did ask was “Would the PC get this kind of UI update?” and there was no definitive answer, other than “Who knows? It’s code, so they could update it.” If you want some of these changes, speak up! Perhaps if enough voices cry out, they’ll add some of those changes to PC. But honestly, if they kept the game the same in every way, there would still be people that kvetched and whined about it “being the same in every way.” Ultimately you can’t make everyone happy, but the console version is fantastic, and even though it’s missing things that the PC version has, I’m sure they’ll be in when the time is right. 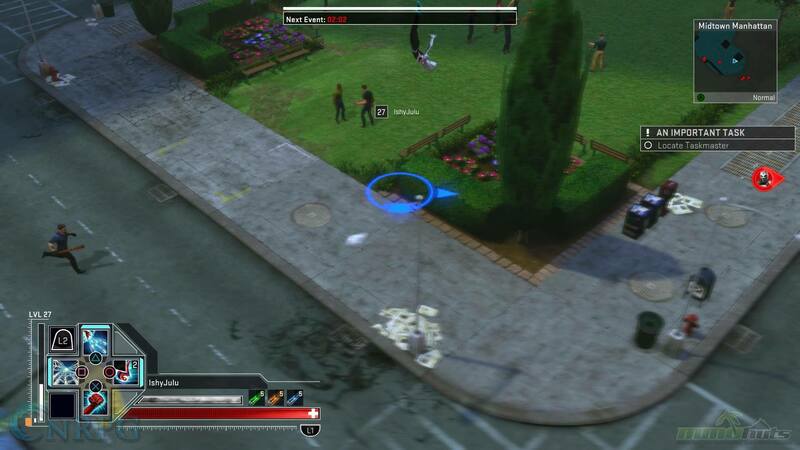 Marvel Heroes Omega - Moon Knight Loot Explosion!